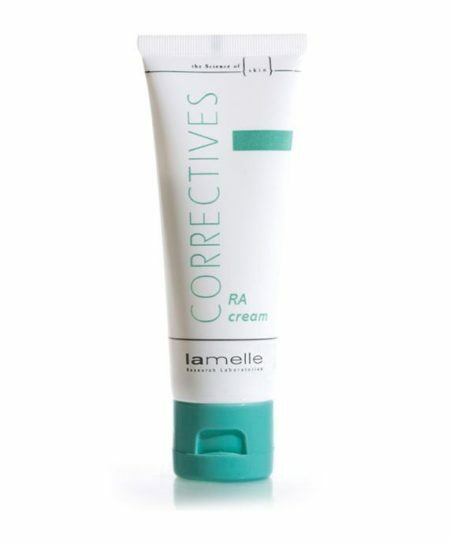 Correctives RA Cream is a night cream that contains a retinoic acid ester, this is an active form of retinoid or vitamin A. The form of Vitamin A chosen has no skin irritating side effects.It is essential in the treatment aged skin and skin with signs of photo ageing (sun damaged). As skin ages and is damaged by sun exposure, two very important changes take place. Skin in the epidermis (top layers of the skin) no longer turns over as quickly. Turnover, or desquamation, refers to the combined action where old, dry and dead skin cells exfoliate off the skin and are replaced from the bottom layer with new healthy skin cells. When this process slows down the dead skin cell layer becomes thicker and the healthy viable (alive) layers decrease. What we see on our skin is dull, dry and coarse skin with many fine lines. The second change, is that the cells in the dermis start producing high levels of poor quality elastin, this is known as elastosis. To add insult to injury, your body will protect this tissue from being removed. This elastosis slows down cell activity even more. We see skin that seems lifeless, thin, not as elastic and in some cases the skin looks scarred with ridges and acne scar like structures. Retinoic acid will reverse both these changes. In the epidermis it stimulates the basal layer to make more cells that will turn over normally and will shed easily. It also assist in the removal of the elastotic tissue, this allows the activity of the fibroblast to increase with the use of Vitamin C and Growth Factors. The usual challenge with using products from the Retinoid family (Vitamin A family) is that they can be quite irritating and cause what is called a retinoid reaction. This is classically red, dry, itchy and flaking skin with a typical fine red rash. At Lamelle we will always attempt to find ingredients that do not create irritation. We have once again been successful with the Retinoic acid ester that we have sourced for this product. The Retinoic acid ester will give the same results as products that have prescription strength ingredients but without the associated side effects. 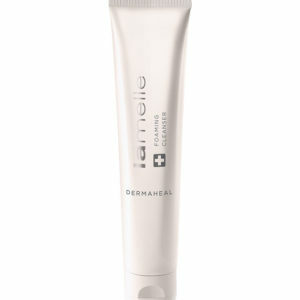 So no dry skin, fine flaking rash or irritation with this product. Epidermis and dermis is restructured with very little to no discomfort.